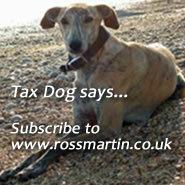 HMRC is concerned that the non-owners are reclaiming VAT instead of actual owners. Typically this occurs if someone acts as a distributor in the UK of imported goods, or brokers a sale between an overseas seller and UK buyer and acts as middleman in the transaction. The correct procedure is that the overseas owner of the goods is the importer of record, alternatively if goods are instantly resold, the new owner is the importer of record. Only the owner may reclaim the import VAT. It accepts that as previous guidance was not clear on the correct procedure, businesses in these situations have been acting in good faith.